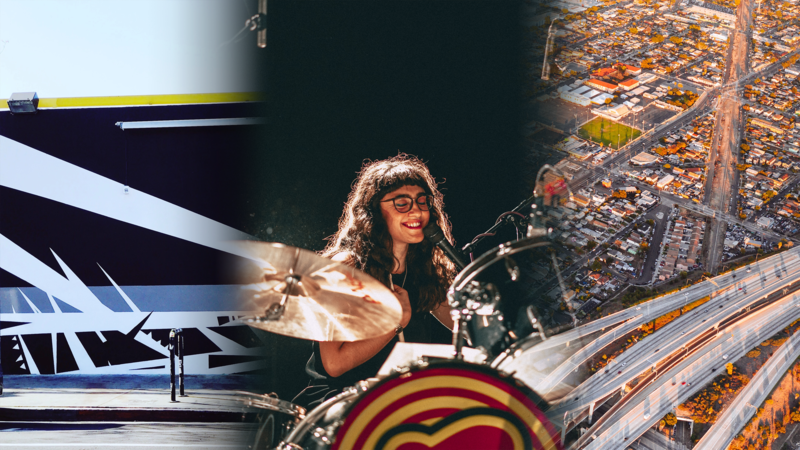 Los Angeles – The City of Los Angeles Department of Cultural Affairs (DCA) is spearheading a new city-wide music presentation and lecture series for 2019, Music x Ideas x Space = Compose LA. From February 6 to February 27, Angelenos and visitors will be able to experience performances across the LA region as music and ideas intertwine at historic concert venues and hidden underground spaces throughout the city. Seating is limited due to the capacity of the sites and event times and programs are subject to change. Please visit Compose LA’s website for full liner notes (including expanded event descriptions and press release). Compose LA begins with a major symposium that focuses on the L.A. music scene: “The Future of Music in LA” which will feature panels and presentations by LA’s leading composers, festival producers, and music industry professionals. In a new collaborative piece, composer/flutist Nicole Mitchell and scholar/author and MacArthur Genius Fellow Josh Kun will explore visionary/reflective glitches between 1970s and pre-apocalyptic Southern California in an exploration of race and politics of human life. Tales of Clamour is a new play centering around two artists positioned in a debate over notions of cultural and institutional silence. Working on themes of intersectionality, composer Bapari and filmmaker Alima Lee are collaborating on a new film score that will be informed by the conversation at this Compose LA event. To celebrate the different forms that love can take, Kaleidoscope Chamber Ensemble performs an evening featuring some of LA’s most exciting composers in a special Compose LA program called Love Notes. As part of a very special evening of rarely performed works, Grammy-awardee James H. Leary will use the James Leary Legacy Voices in a special program of original compositions. Featuring a roster of LA-based musicians that are both composers and musicians, these artists will explore what it means to be human through their touch mixed with electronics. Liam Mooney’s Flatland (2019) is a work loosely patterned after Edwin Abbott’s novella, Flatland: A Romance of Many Dimensions. Abbott’s examination of humanity—and the natural and constructed categories contained therein—still seems to have the sting of relevance, and the listener might not find it at all difficult to connect Abbott’s observations to features of present-day societies. Program: Derrick Spiva Jr’s Bridge to Everywhere performs the work of Juan Pablo Contrera, Reena Esmail, and Derrick Spiva Jr; Salastina performs the music of Derrick Spiva Jr. The special evening is the work of several artistic collaborators. It features two of LA’s leading new music performance groups, Bridge to Everywhere and Salastina, focusing on the works of Derrick Spiva Jr.
KCRW will host a unique Compose LA that combines conversation and performance with Street Symphony. Street Symphony was founded by musician and MacArthur Genius Fellow Vijay Gupta as a place to create powerful engagements between professional and emerging artists and communities. Each work has a unique relationship to the Street Symphony and addresses the human condition. Self Help Graphics & Art is proud to present this special Compose LA event that will be a multimedia, participatory experience that includes a collective songwriting exercise and an exhibition of SHG serigraphs curated by Quetzal and UCLA professor and author Gaye Theresa Johnson. Their dialogue will unpack the ways music and visual art address issues of race, space, and inequity in communities of color.